I have tried beauty subscriptions before. I tried the Luxe Box last year, but I was really unimpressed with it. I was pretty confident that I wouldn’t try another beauty subscription service, until I heard about IPSY. After watching videos of products people were getting, I decided to try it for myself to see if it would change my opinion on beauty subscription services. 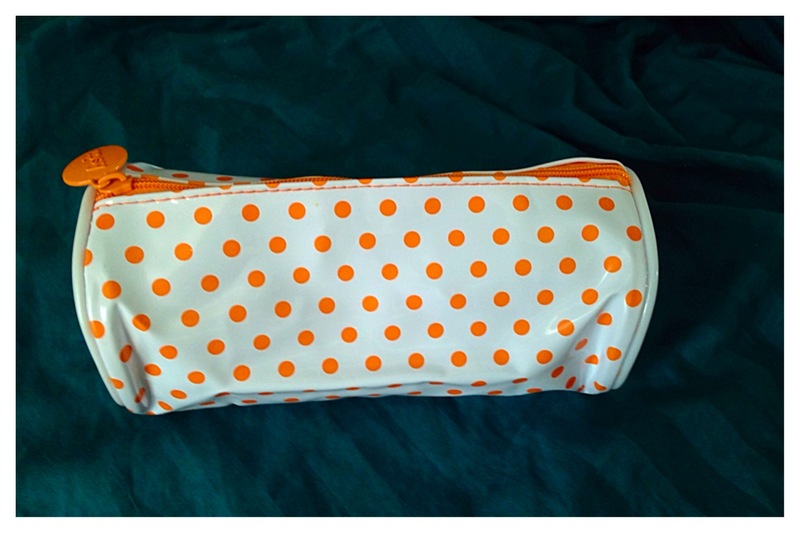 For this post I’ll be reviewing the August IPSY 2014 bag and give my opinion on the subscription as a whole. 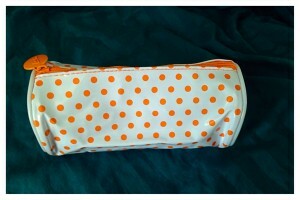 The theme for this month’s bag was Beauty Schooled. Before I get into the products I just had to take a moment to talk about the bag. Isn’t it adorable?!?! I love the bright polka dots on the white background. It is actually quite sturdy so I’m planning on using it as a pencil case for the upcoming school year. 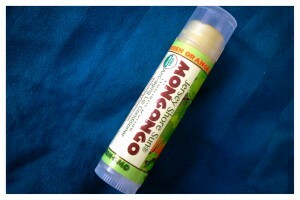 I got this lip conditioner in the flavour/scent mandarin green orange ginger. The ginger in the lip conditioner tingles your lips a bit when you put it on, which initially made me nervier because I thought I was having an allergic reaction to it. The lip conditioner is very citrusy but it still leaves my lips soft and smooth. The package also boasts that it is anti-aging, but I haven’t seen any differences. All-in-all it is a nice lip balm. I was a bit unsure about this product when I first saw it. I find some dry shampoos just aren’t that effective, or they leave my scalp itchy from the powder. This dry shampoo didn’t do any of that. 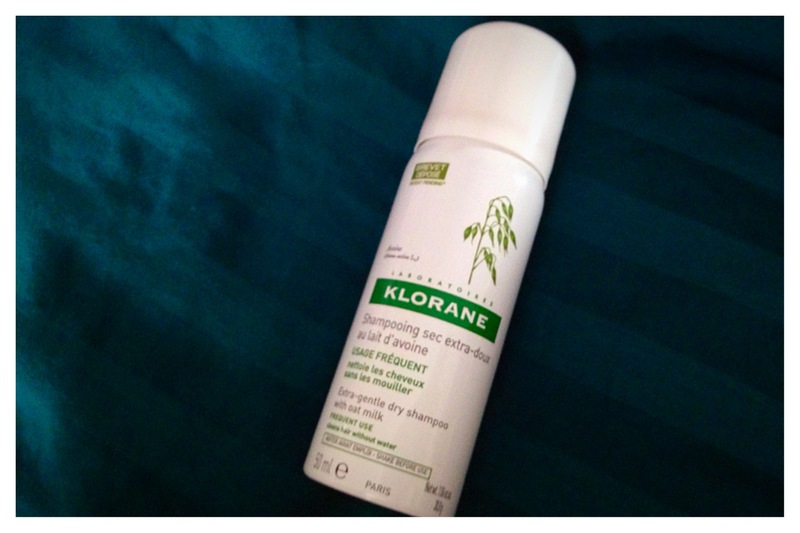 It is a very effective dry shampoo that quickly eliminates oil and adds volume without needing a lot of product. I also loved the scent. It’s a very light and sweet scent that isn’t overpowering. It also didn’t dry out my scalp or leave it itchy from the powder. I was very impressed with this product and will probably buy the full size when this runs out. I got the shade 110-Half Naked in my bag. The shade is a gold-champagne colour and looks like a darker (more gold) version of Stila’s Kitten eyeshadow. It also has a nice formula that doesn’t crease or have much fallout.The really cool thing about this product is it has a mini mirror and applicator under the product (it flips up). It’s a great eyeshadow to throw in a bag for when you’re on the go. 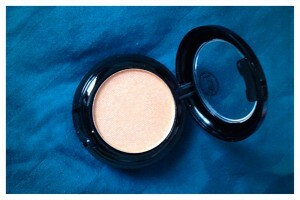 I was quite fond of the product and the beautiful colour. This is one product that I was excited and a little bit hesitant about. I’ve never used Urban Decay products before, but I had heard great things about the brand. 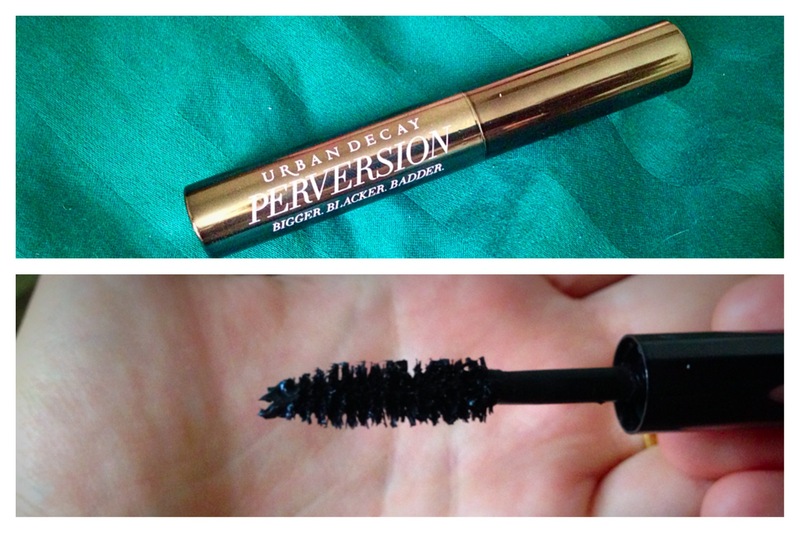 I was a bit hesitant about trying this mascara because it has a fibre wand rather than a plastic one. I was worried that it would clump my eyelashes together, but luckily it didn’t. I liked that this mascara didn’t leave my eyelashes with that crispy feeling once the product dries. I was very impressed the mascara did not rub or flake off even though it wasn’t a waterproof formula. I was very pleased with this product. This was a product that I was interested in trying, but was a bit of a letdown to me. 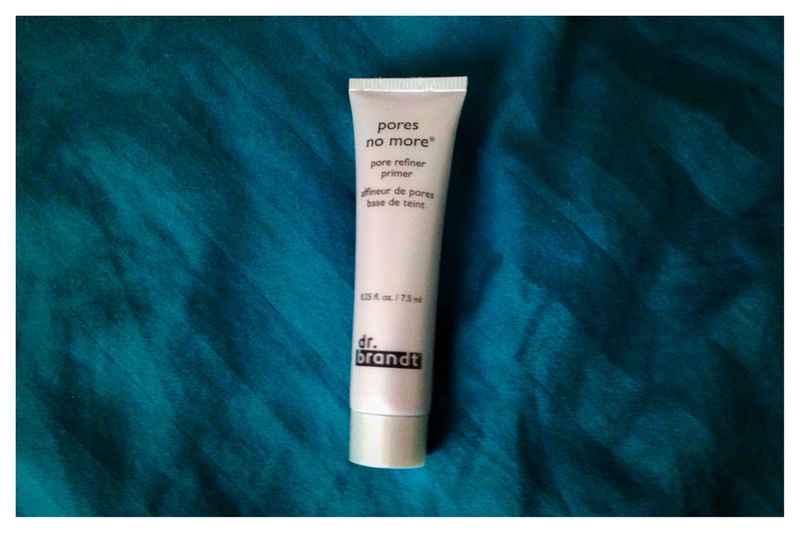 The product itself is almost exactly like Benefit Pore-fessional. It wasn’t too greasy, and seemed to do an okay job minimizing the appearance of my pores. The real downside to this product was the smell. I don’t know what it is, but I really hate it. It does eventually go away, but having that smell on my face for ~15 minutes is not pleasant at all. Overall I was very impressed with IPSY. They definitely delivered with giving me higher-end products to try. I’ve found a lot of the $10 subscriptions boast higher-end products but end up giving you mostly drugstore products. Thankfully IPSY delivered on their claim. 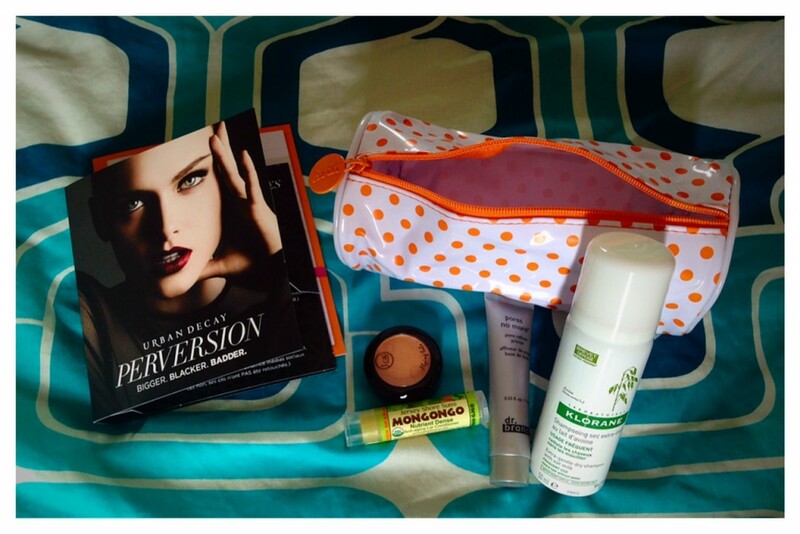 I loved the bag and most of the products I got in this month’s subscription. I’m excited to see what I get in next month’s bag. I’ve been surfing on-line more than three hours nowadays, yet I never found any attention-grabbing article like yours. It’s beautiful worth sufficient for me. In my opinion, if all site owners and bloggers made excellent content as you did, the internet will probably be a lot more useful than ever before.